Gold is one of the most fascinating of all rare metals. Throughout all history it has been given a special, at times sacred or spiritual value, since six thousand years ago when the Egyptian Pharaohs’ tombs were filled with it to accompany the dead on their journey. In times of world financial crisis as in the 1930’s, gold is preferred by central banks and ordinary citizens as a store of value when paper money loses value. We are approaching another of those times when the accumulated paper debt of the dollar system is debasing the worth of paper dollars. What’s highly significant in this light is to see which central banks are buying all the gold they can get. The dollar today is no longer backed by gold. That has been so since Nixon unilaterally abrogated the 1944 Bretton Woods Treaty and took the dollar off its statutory gold backing to float free in August, 1971. He did so at the insistence of then Under Treasury Secretary Paul Volcker and Volcker’s patron, David Rockefeller at Chase Manhattan Bank. Nixon took that desperate measure, simply said, because the Federal Reserve vaults of reserve gold were disappearing as France, Germany and other trading partners of the United States demanded gold in exchange for their accumulated trade dollars, as was allowed under the Bretton Woods rules. Since 1971, with no gold backing it, other than the carefully-guarded fiction that the Fed still has the world’s largest stock of gold reserve in its deep vaults, alleged by the Fed to exceed 8,000 tons, the fiat dollars in world circulation have expanded without limit. This is the source of the Great Inflation the world economy has undergone over the past forty five years, as dollars in circulation have expanded exponentially by some 2,500% since 1970. The confidence in holding dollars, still the world’s leading reserve currency, has been maintained by Washington through various tricks and deceptions. After the oil shock of October, 1973 Secretary of State Henry Kissinger spoke of a “petrodollar.” The dollar value was backed not by gold but by oil, everyone’s oil. The price of oil had been manipulated by Kissinger and others in 1973, as I detail in my Gods of Money book, to increase by 400% in a matter of months, forcing Germany, France, Latin America and much of the world to buy dollars. Washington made certain as well in 1975, when Germany, Japan and other nations tried to buy OPEC oil in their own national currencies, that Saudi Arabia and OPEC countries would accept only dollars for their black gold, the oil. Since September, 2014 the world dollar price of oil has collapsed. It has gone from levels of $103 a barrel down to close to $30 today. That’s a collapse of 70% in demand for dollars for the world’s largest commodity measured in dollars. In this political and financial context, the central banks of Russia and China are buying gold for their central bank reserves at a fever pace. Not only that, the Peoples’ Bank of China recently announced it has abandoned its peg to the US dollar and diversify into a basket of currencies led by the Euro. However the moves of Russia and China central banks to gold are far more strategic. While all eyes are on the oil price and the ruble to dollar rate, the Central Bank of Russia has quietly been buying huge volumes of gold over the past year. In January, 2016, the latest data available, the Russian Central Bank again bought 22 tons of gold, around $800 million at current exchange rates, that, amidst US and EU financial sanctions and low oil prices. It was the eleventh month in a row they bought large gold volumes. For 2015 Russia added a record 208 tons of gold to her reserves compared with 172 tons for 2014. Russia now has 1,437 tonnes of gold in reserve, the sixth largest of any nation according to the World Gold Council in London. Only USA, Germany, Italy, France and China central banks hold a larger tonnage of gold reserves. Notably also, the Russian central bank has been selling its holdings of US Treasury debt to buy the gold, de facto de-dollarizing, a sensible move as the dollar is waging de facto currency war against the ruble. As of December, 2015, Russia held $92 billion in US Treasury Bonds down from $132 billion in January 2014. That’s very significant as Russia, whose central bank gold reserves were robbed during the Yeltsin years in the early 1990, has grown to become the world’s second largest gold mining country after China. It’s a major support to her gold mining industry and to the ruble. Only slightly smaller volumes of gold are being bought in past months by China. And a significant monthly addition to its gold reserve is being made as well by Kazakhstan. For the past forty months, Kazakhstan, has been increasing its central bank gold reserves. Kazakhstan along with Russia is a member of the Eurasian Economic union along with Belarus, Armenia and Kyrgyzstan. Belarus ghas also been increasing its bullion reserves. China bought another 17 tons of gold in January and will buy a total of another 215 tons this year, approximately equal to that of Russia. From August to January 2016 China added 101 tonnes of gold to its reserves. 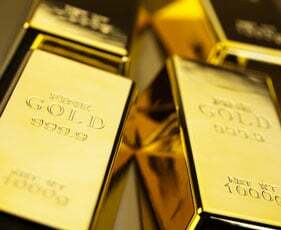 Annual purchases of more than 200 tons by the PBOC would exceed the entire gold holdings of all but about 20 countries, according to the World Gold Council. China’s central bank reserves of gold have risen 57% since 2009 acording to data the PBOC revealed in July, 2015. Market watchers believe even that amount of gold in China’s central bank vaults is being politically vastly understated so as not to cause alarm bells to ring too loud in Washington and London. Kyrgyzsan, Russia and China are also members of the Shanghai Cooperation Organization. These Eurasian countries are all of them part of China’s mammoth One Belt, One Road Great Project, sometimes called the New Economic Silk Road project to criss-cross all Eurasia with networks of high-speed rails and to develop major new ports in the region to change the economic map of Eurasia. Last year China announced it was mapping the rail lines of the Silk Road to enable the Central Asian and Russian gold reserves now lacking infrastructure for development to become economically attractive to those countries. The currencies of Russia, China and other Eurasian countries are moving to become as “good as gold,” a term applied to the US dollar some six decades ago. The fact that Russia also has an extremely low debt-to-GDP ratio of some 18% compared to 103% for USA and that of the EU Eurozone countries of 94%, of Japan more than 200% of GDP, is a fact that Western rating agencies engaged in the US Treasury’s financial warfare against the Russian Federation conveniently ignore. Russia has a far more healthy economy than most of the West that is declaring her a failed state.